The Visit Fairfax team has been hard at work selling and promoting Fairfax County to potential clients, groups, and media. The team is always happy to share updates from tradeshows, appointments, and events. Read on for an updated list of recent activities and what will be happening over the next few months. You may find that this information can benefit your business. Visit Fairfax attended the VSAE luncheon meeting in Richmond, VA in January. Also in January, Visit Fairfax attended the Reston-Herndon Meeting Planners (RHMP) breakfast meeting. Visit Fairfax will host the 10th Annual Family Reunion Workshop at the Crowne Plaza Dulles Airport Hotel on February 17, 2018. More than 100 family reunion planners are expected to attend and 20+ of our great Fairfax County hotels, attractions, and service suppliers will be exhibiting. Learn more about the Family Reunion Workshop here. Visit Fairfax will attend the Your Military Reunion Connection (YMRC) trade show in Myrtle Beach, SC in February. Visit Fairfax will also attend the Rendezvous South trade show in Daytona Beach, FL in February. Fairfax County will play host to the Reston-Herndon Meeting Planners (RHMP) for their breakfast meeting in March at Convene at Tysons Corner. Visit Fairfax will conduct two days of sales call on Virginia state association accounts in Richmond, VA this April. Another corporate win for Fairfax County! A meeting planner from the United Kingdom was targeting three North American destinations – Toronto, Raleigh, and Tysons Corner – to host her client’s defense and technology conference in February 2018. Congratulations to the Westin Tysons Corner for securing this business! Visit Fairfax attended the Society of Government Meeting Planners National Capital Area (SGMP NATCAP) monthly meeting in January, where the topic was "2018 Government Meetings Outlook." Representatives from federal agencies, hotels, and CVBs discussed various factors affecting the government meetings market (e.g., budget cutbacks, meeting delays, longer approval processes, increased requests for webinars and internal meetings, challenges if the federal government shuts down, etc.). Despite current challenges, many government meeting planners were optimistic regarding the future of the government meetings market. SGMP NATCAP’s Silent Auction in December 2017 raised approximately $5,000 in scholarships to attend the organization’s National Education Conference. Thanks to the following Fairfax County stakeholders who donated items to Visit Fairfax for the auction: Embassy Suites Tysons Corner, Flight Trampoline Park (Springfield), Holiday Inn Express & Suites Alexandria, Ono Brewing Company, Sheraton Reston, SpringHill Suites Alexandria, TownePlace Suites Alexandria – Fort Belvoir, Westin Reston Heights. June 5-7, 2018: Society of Government Meeting Professionals (SGMP) National Education Conference & Expo (NEC) in Norfolk, VA. The SGMP NEC is the largest annual event in the government meetings industry. For more information or to register, visit www.sgmpnec.org. Visit Fairfax continues to play a leading role in furthering efforts of Fairfax County government’s Sports Tourism Task Force. Activities include: 1) investigating the feasibility of an indoor sportsplex with multiple basketball/volleyball courts, an indoor track, and space to host high school graduations; 2) researching opportunities to improve facilities for mountain bike racing competitions; and 3) examining organizational and fiscal models in the sports tourism industry. February 21 & March 21, 2018: Fairfax County Athletic Council Meeting. The FCAC serves in an advisory capacity to the Fairfax County Board of Supervisors, School Board, and county agencies on matters relating to the use of public sports facilities and the programming of youth/adult sports programs in the county. April 23-26, 2018: National Association of Sports Commissions (NASC) Sports Symposium in Minneapolis, MN. One of the sports travel industry’s largest tradeshows, the NASC Sports Symposium generates lead opportunities through appointments with sports event planners and decision-makers responsible for selecting destinations for state, regional, national, and international events. American Bus Association held their annual Marketplace in Charlotte, NC from January 27 – 30, 2018. 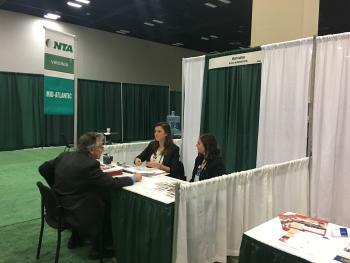 This show provided Visit Fairfax the opportunity to network with tour operators as well as directly pitch itinerary ideas in one-on-one pre-scheduled appointments. If you would like to receive the lead notes for this tradeshow, please email mmcclure@fxva.com. Visit Fairfax will join the other Northern Virginia Visitors Consortium DMO’s on a Receptive Sales Mission up to New York City this March to promote international business to and within Northern Virginia. From March 25 – 27, Visit Fairfax will be attending Active America China in Atlanta, GA. This tradeshow allows us to promote Fairfax County to some of the top Chinese tour operators and receptive operators through one-on-one appointments. The Chinese market continued being the Capital Region’s number one international inbound market for the second year in a row in 2017. Visit Fairfax recently worked with the members of NVVC to create a new World War I & World War II suggested itinerary in Northern Virginia. If you know any tour operators or group leaders interested in using this itinerary, please feel free to email mmcclure@fxva.com who will happily pass this new sales tool along. Visit Fairfax recently held another Sales Edition of the award-winning Ambassador Class at the Hilton Washington Dulles Airport Hotel. Guests learned about the treasures of Fairfax County as well as the tools that assist in selling the destination to their clients. If you would like to learn more about the Ambassador&apos;s Program, including the upcoming spring tour, contact Sue Porter at sporter@fxva.com or 703-752-9512. 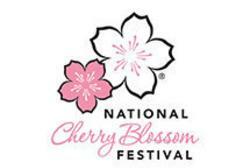 Fairfax County hosts several exciting official events during the National Cherry Blossom Festival each year. Visit www.fxva.com/cherryblossom for all the details about this year&apos;s festival. In January, Visit Fairfax attended the Mid-Atlantic Tourism Public Relations Alliance quarterly meeting in Arlington, Virginia. Visit Fairfax participated in Virginia Tourism Corporation&apos;s "What&apos;s New on the Road for 2018" media event in Arlington, Virginia this past January, meeting with local and regional press to pitch upcoming news items for 2018. In late January, Visit Fairfax hosted members of the Virginia Tourism Corporation&apos;s domestic and international public and media relations teams on a brief familiarization tour of the Northern Virginia region (in collaboration with the Northern Virginia Visitors Consortium). Thank you to all of the partners who assisted with this tour. Visit Fairfax is currently working with the other members of NVVC to plan upcoming public relations missions to Toronto, Canada and New York City, New York to meet with international and domestic travel journalists. Please be sure to share your exciting news and information with Ali Morris for a chance to be included in pitched storylines. Visit Fairfax is pleased to offer marketing and public relations support to the upcoming Lord Fairfax Charity Ride, which will see Lord Nicholas Fairfax, a descendant of Fairfax County&apos;s namesake, lead a charity motorcycle ride around the perimeter of the original Northern Neck Land Grant. Read more about the ride here. Visit Fairfax is pleased to share some new clips that have recently been published as a result of previous familiarization tours of the county. Please contact Ali Morris for more details at amorris@fxva.com. Visit Fairfax continues to see incredible growth on our social media accounts. Please help us continue to grow by tagging us (@VisitFairfax) on your own accounts and by using our hashtag, #FXVA. Looking for ways to broaden your reach in the media? You can still sign-up for the Visit Fairfax corporate social responsibility marketing campaign, LoveShare. All we need from you is a special offer geared towards locals. That&apos;s it! Read more and submit your offer here.